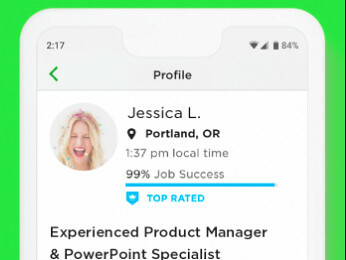 They get you from UpWork to Skype pretending that they cannot upload the file, then they sneakily get UpWork out of the picture before you have the time to find out what is going on. They start pressing and pressing for work and it seems all nice and dandy, you finally found a steady influx of work right? Wrong! Because they do give you a lot of work, but they have the bad habit of not paying for it! That is why they push so hard at the beginning, they want to get as much work out of you as possible before you find out. In the end, you find yourself not able to pay your rent because you spent the whole time working for them, and they just move on to another freelancer instead! They own a friend of mine over $300 and another two around $100 each, and it's been over 3 months. Fortunately, I found out before I fell for it and could stay away, but by a hair! Unfortunately, I keep losing connects applying for their jobs because you can't see who they are when you apply (it happened even today, with a "Starti S" guy, that is why I finally remembered to warn you all), but at least you can easily figure it out when they get you on skype, so watch out! They aren't even from New York as they say they are, but somewhere in Eastern Europe and they usually give no info on their UpWork account, but a made up name. Have you and your friends reported this client? Put in a ticket, or flagged their past job post they hooked (or tried to hook) you all with? 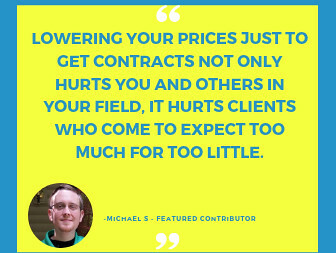 Additionally, while I have done Skype and phone call interviews, the only way a prospective client can get Upwork out of the way is if you let them. This is part of the reason that Upwork tells freelancers to never even START working until they have a contract. Definitely don't give any work without a contract. Sure did! Last time I opened a ticket with CS, and they are aware of it. Problem is that every time LST puts up one of these "bait" jobs they use a different account, so CS told me to flag them when I realize it's them and I certainly do. And I TOTALLY agree with your second point. Nevertheless, they are good at it, because they don't tell you they don't want to work on UpWork, they say that they can't send you the file there, that for some reason it's not working and to come on skype. Then they pretend to forget about it. I am pretty picky though and I didn't, so when I asked them to open the job on UpWork I noticed they got weird and kept not answering me about it. That's when I started asking around and found out the scam. I'm glad they didn't get you, and it is a shame that they got your friends for so much. It was an expensive lesson to learn. Really, having a contract is like the flag at the start line of a race. I have three really great clients that I haven't received a lick of documentation from in UW. The only thing we really use UW for is for payment. Each of them wanted a phone or Skype interview, and with my writing, I normally collaborate over Google Docs. The only time the work I have done for them enters UW is for my fixed price contracts where I submit them against the milestone. I played along with a fraudster about ten years ago until I had enough of her Yahoo account messages to **bleep** her. I continued playing along while Yahoo investigated. They terminated her account and reported her to two countries' law enforcement for wire fraud. That's what is so frustrating about this kind of people, you don't know who they are, you don't know where they are, even if you do, they are likely in another country, what do you do to fight back? A lawyer is likely going to cost you more than what they owe you, so what options do you have? I, for one, have no idea and didn't know what to tell my friends either. That's why better have UpWork to back you up and lose the customer if he gets "offended" because you ask him/her to start the contract than having to deal with all the emotional and financial ordeal. Plus, like Ruth said, that's a flag from the start, they don't pay any fees to go through UpWork, so if they don't want to chances are that all you lost is someone that was going to cheat you out of your money anyway. Wait, what do you mean "they do give you a lot of work"? They give you work means there is a contract on Upwork with a client who has their payment method verified. 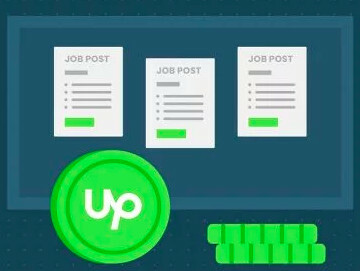 If there is no open contract on Upwork, there is no work been given. Period. So the friend of yours haven't been working with any Upwork client. Sorry, I don't know what you mean Rene... yes, they are not an UpWork client, they just pretend to be by opening each time a fake account (for what I understood, at least, cause each time I was contacted by them it was a different person). Anyway, that's what I was trying to warn everyone about. Cheers.